On the surface a simple tale of loss, but beneath an extraordinary, deeply revelatory exploration of our craving for connection and the kinship of another species. Journalist Kate Spicer’s spikily self-searching exploration of grief and hope bristles with honesty and acute wit. Meet woman's best friend. Kate is a middle aged woman trying to steer some order into a life that is going off the rails. When she adopts a lurcher called Wolfy, the shabby rescue dog saves her from herself. But when the dog disappears, it is up to Kate to hit the streets of London and find him. Will she save him, as he has saved her - or will she lose everything? As she trudges endlessly calling his name in the hopeless hope she may find him, she runs into other people's landscapes and lives, finding allies amongst psychics, bloggers and mysterious midnight joggers. Trying to find her dog tests her relationship, and her sanity, to its limits - and gets her thinking about her life, and why things have turned out as they have for her. What an amazing book. Couldn’t put it down. Beautifully written. A real emotional rollercoaster which reveals the healing power of a dog. 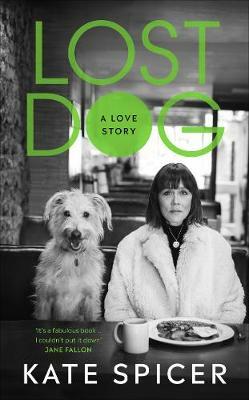 An absolute ‘must read’ for all dog lovers.